Just Comment: Entitlements - who is worth what? Entitlements - who is worth what? 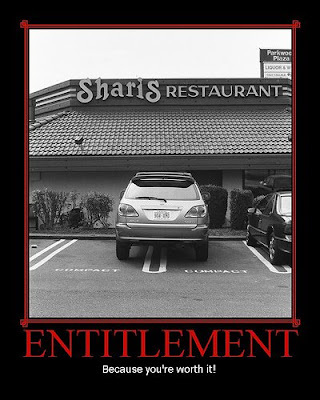 The concept of entitlement is currently gripping something of our national focus. Do you feel entitled to something? What? How can entitlement be more than simply what we feel is rightfully ours? How can entitlement be a measure of the mutual responsibility we have toward others, a measure of what we’re actively sharing in/with others? Or is it simply a weapon of mass distraction? See The Rainbow of Entitlement at www.salvationarmy.org.nz/socialpolicy for some thoughts that could help deepen the conversation. Just Comment is a space to engage with the issues of justice facing our society. There is criticism and there is energizing. There is a deconstruction of what is impossible and a hopeful re-imagination of what could be possible. The contents of 'Just Comment' [individual postings and comments] soley represent the views of the individual authors and not any organisations or associations which these authors may belong to. A shift toward something new?